At Survive Strive Thrive we help people heal chronic pain naturally. Chronic pain affects every area of your life. It’s not just the pain but fatigue, anxiety & depression. Pain even affects our closest relationships. People live, not only with pain but a lot of additional suffering. We teach people the skills to heal naturally with strategies for body, mind & social well-being. By taking a holistic approach – people are able to control their pain & restore their health, comfort & happiness. We would like people to review the Control My Pain Project. The Control My Pain Project is a 6-week online program teaching people holistic wellness strategies. Blogs that cover topics related to chronic illness, pain, mental health & wellness. Bloggers will get free access to the programme. We offer 30% affiliate commission. 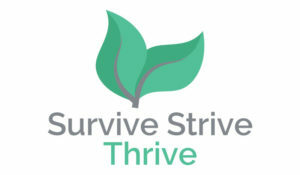 Also please note that Survive Strive Thrive is a social enterprise & 5% of all sales (NOT profits!) are donated to help children suffering from severe dehydration & malnutrition.